For excellent Construction & Demolition in Coral Springs that is always reliable and affordable hire our professional staff at XS Trash. Our team will use huge trucks that are 21 yards long to haul away your junk. Using huge trucks help us to save money on gasoline which helps you save money. We are fully licensed, insured, and bonded to provide you with superior services. Our team will arrive to your property on time and will work hard to removal all of your junk. They will work fast and efficiently to remove all traces of debris. After everything is removed they will clean the site and make it look spotless. You will be very impressed with our flawless workmanship and excellent results. Schedule your junk removal service today! Our Construction & Demolition in Coral Springs company provides residential and commercial clients with affordable services. When you hire us we will make you our first priority and we will do everything possible to exceed your expectations. You will not regret your decision to hire us. Give us a call today to hear more! Construction & Demolition in Coral Springs services from XS Trash will really impress you. Our team of experts can take away one item or an entire truck filled with trash. We can also take as many trips as necessary to remove all of your trash. We will are highly praised in Coral Springs and well recognized for our affordable, reliable services. We aim for 100% customer satisfaction. When you contact us we will provide you with a free quote. It is very important to remove all of your junk as soon as you have finished with your demolition project. 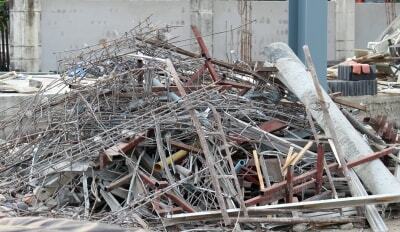 If you leave all the debris on your site it can cause someone to get hurt and sue you. Call us today to schedule your removal. We have a very flexible scheduling system! Licensed & Insured Construction & Demolition Coral Springs, Junk Pickup & Hauling.